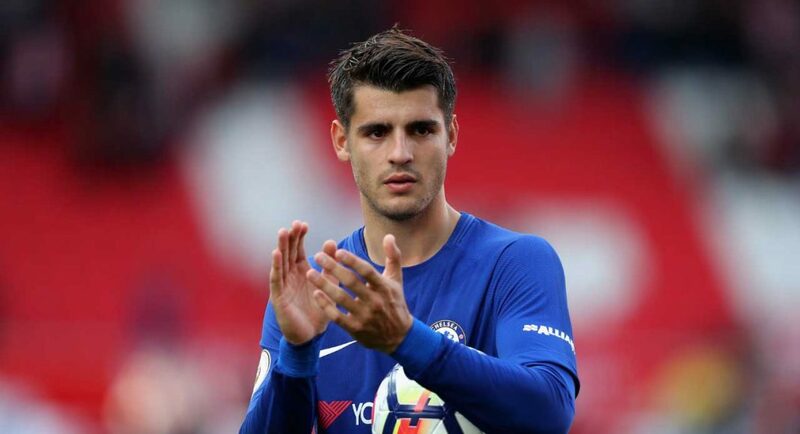 It’s international duty and the injured Alvaro Morata who earlier this week withdrew from the Spain squad is doing his best to be available against Crystal Palace next Saturday. The 24-year-old has been in fantastic form but his hamstring injury in the 1-0 defeat against Manchester City last Saturday has somewhat halted his superb start to life at the Blues. Morata’s recent post on his Instagram story indicates he’s working hard to be in Antonio Conte’s plans for the match at Selhurst Park. GREAT NEWS! Alvaro Morata is already back on the bikes at Cobham working out. Making excellent progress already. Despite the Eagles having accumulated zero points after seven games, it would be a great boost to have the striker back for selection as soon as possible, especially with Michy Batshuayi being our only natural first team centre-forward available for the match at this current time. Wishing you (Morata), speedy recovery of your 100 per cent health and then bounce back to the team. We need your services now more than ever before. Devil is a liar, your super star is about to rise and shine. Congratulations.